We live in a connected world. The faster and simpler the connection to our customers, the better for our business and theirs. That’s why Dunn Diehl utilizes the 3Shape TRIOS Ready program. 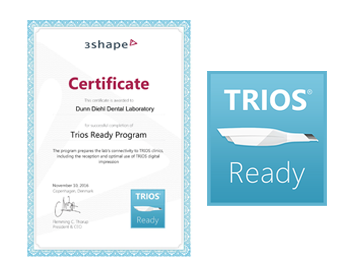 TRIOS Ready cloud-connects dental practices and labs. 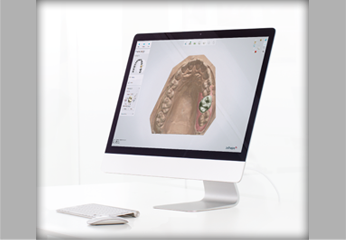 It means dentists using TRIOS can simply connect with Dunn Diehl to share scans, discuss cases and much more. It means Dunn Diehl can receive and work with TRIOS digital impressions. In fact, we are using the highest level of technology to deliver the best and most consistent results. We pride ourselves as being a full-service laboratory that is at the forefront of technology. Since opening our doors in 2005, our laboratory has made it a point to embrace CAD/CAM manufacturing into the workflow. This is a priority of ours because we want to stay ahead of the curve, and do everything in our power to reduce margin error, while producing tomorrow’s products today.